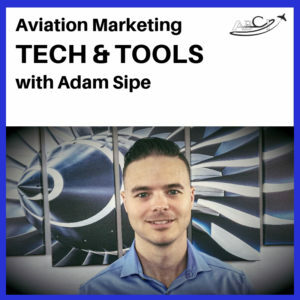 Today, we get to talk with Adam Sipe about the Airplane Intel Podcast, the Prebuy Guys, his favorite books and movies, aviation marketing tools & tech, and other topics. Get (and keep) a great team! 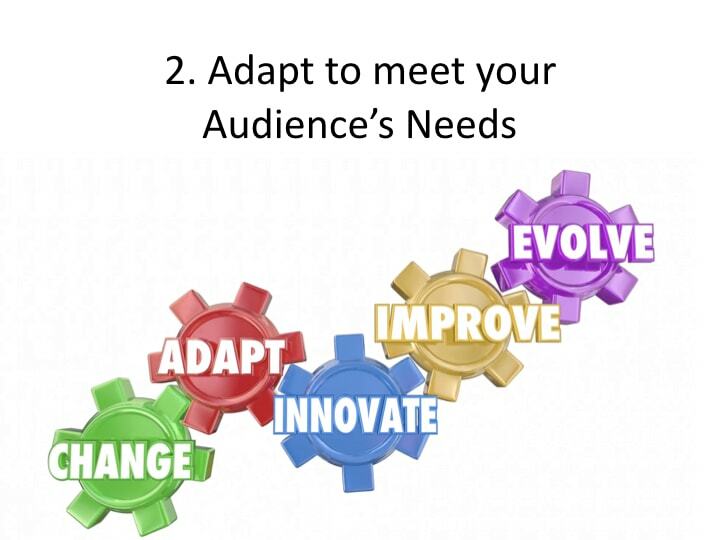 Adapt your business model to serve your audience better. Note – Since we talked, Adam let us know that the Airplane Intel podcast will be pivoting a bit toward Cessna products, particularly Citations. If you’ve got a great idea for an episode topic or interview about these iconic and popular business jets, get in touch with Adam! Paula Williams: So, Adam Sipe, of Airplane Intel. I actually really like this headshot. I like the way he set this up. If you’re just listening and not seeing, he’s in front of a beautiful turbine engine that’s a print on his wall. Kind of in different pieces. It’s very artistic. Art deco, right? Paula Williams: Okay. So let’s jump into our interview with Adam. Paula Williams: Adam, we are really glad that you are finally here. I know we’ve been talking a long time about doing a podcast. And we’re finally getting together. Adam Sipe: Yes, absolutely. Should be fun. Paula Williams: Great, cool. So tell us about Airplane Intel, which is your really cool project that’s going on. Adam Sipe: Sure. So Airplane Intel, also known as the Prebuy Guys, which is kinda how, you know, that’s how we market it, is a way to help people that are buying and selling airplanes. As you guys probably all know, aviation is very heavily regulated, but when it comes to the actual transaction of an airplane, whether it be a single engine Cessna or a large jet, there’s no regulation whatsoever. That opens up a lot of potential liability problems for buyers and sellers. Of course there’s FAA problems that can arise, but there’s also other real problems that can arise. So essentially what we do is we try to mitigate some of those risks and increase the overall safety and give the buyer, specifically, some assurance. So we want to make sure that they’re buying a good airplane and that they know what they’re getting themselves into from a maintenance standpoint, and from a cost standpoint ahead of time, so they can make better decisions going forward when they’re buying the airplane. Of course we also work with, something we’ve more recently added is working with sellers too. So getting an airplane ready to be sold, cleaning up all the all paperwork, making sure all the deferred maintenance is taken care of. Because myself and my colleague Don, that we are the Prebuy Guys, if you will, you know we’re both A&P’s and pilots, and what not, so we have the experience and the authority to do those sorts of things for the buyer and the seller. Paula Williams: … go online and you can find out all kinds of facts and figures about an airplane, then all of a sudden you’re an expert. Adam Sipe: Well like, you’re saying there are a lot more … The people that I talk to today are a lot more educated than they may have been several years ago because of that information. However, I’m finding that in a lot of cases, not all the bases are covered. They’re overlooking some key areas. Maintenance is one of the things that’s overlooked the most in an aircraft transaction and in the overall scheme of owning an airplane, and that’s where we try and fill in some of those gaps, where we can. Paula Williams: I’m sure a lot of people have probably not made decisions they’re going to regret because of the Prebuy Guys and because of your podcast. Have you heard any stories about people who have maybe made a different decision because of what they’ve heard? Adam Sipe: Oh yeah. I mean it happens all the time. I mean, so basically, we have our own process in which we kind of go through an order of operations if you will, so someone can come up to us and say “Hey I’m looking at a handful of airplanes. Can you help us kind of narrow them down?” And so we’ll start going through the listings, start going through the records and all this and help them narrow things down, but even on the most basic level, when we’re looking over some of the SA documentation, that alone a lot of the time can be a go, no-go decision for them. For example, I was working on an airplane yesterday that we found some repairs done. We found some records for repairs done to the flight control skins. They were removing or replacing skins and that wasn’t disclosed by the owner. Maybe the owner didn’t know, ’cause it was before he had owned the airplane. And so it’s funny ’cause even the current owners don’t really know the history of the airplane they’ve owned for maybe five or ten years or whatever. So those are the things we want to know about upfront, and make sure that the paperwork and all that’s in line. That’s where people make these decisions, hopefully as early on as possible in the process before they spend a lot of time or money going to the airplane, and going to put deposits down, and hire a lawyer to write a purchase agreement and all that stuff. John Williams: I would be willing to guess that most people do not understand the volume of records you have to check. Adam Sipe: I would say that that’s a true statement. Yesterday, I was looking at just the FAA records for a Cessna 172, it was an ’80s model … Er ’77, Cessna 172. It was about 400 pages, just in the FAA records, and that’s not the log books. The log books that’s probably another several hundred pages in log books. It’s kind of, the market moves quickly right now, especially for single engine airplanes. We have to go through these records in a relatively quick manner to make sure that we don’t lose out on a good airplane. My advice is always we’re going to do our due diligence and it’s going to take time. I actually, usually, I like to invite the prospective buyer to go through the records with me, or with Don and I so they can get an idea as to what it is we’re doing, and they know what’s important in the records ’cause it’s just a lot of words, if you don’t know what it’s all saying, and reading between the lines and all that stuff. You’re right. A lot of people don’t realize the scope of it. Paula Williams: … maybe they’re missing things, and all kinds of crazy stuff in records. Adam Sipe: Oh yeah, absolutely, and I’d love to have a conversation with her. Really, I’m not trying to imply that owners are being dishonest. A lot of the time they simply don’t know, and really what we’re trying to do, is we’re trying to inspect what we expect. We want to make sure that what’s being represented is actually the truth and we don’t … There’s too much risk, both from a safety standpoint, and from a cost standpoint, to just take people’s word on things when we’re dealing with airplanes. John Williams: And to further what you said about owners, having owned a couple of airplanes [inaudible 00:07:21] phase, which is what I have set up, a 50 hour phase, there’s a volume of paperwork just out of each phase. And I looked at every one of them, but if I missed something, it wasn’t intentional. Adam Sipe: Yeah. And it’s not just the owners. The service centers make mistakes. Maintenance shops make mistakes. Everyone does. And because of, like you said, the volume of paperwork, you know, and then the rules are open to interpretation some times, and then when you start talking about airplanes that have been heavily modified with avionics, or structural modifications, or whatever the case may be, and you want to make sure that not only the airframe and power plant and propeller ADs are done, but now there may be new ADs or instructions for continued airworthiness for the new accessories, or the new appliances, or with the mods that were done, etc. Paula Williams: Just because it was done doesn’t mean it was illegal, right. Adam Sipe: Right. And let’s say, you know, if you bought the airplane without doing that due diligence, and the airplane was ramp checked, or a good A&P/IA got a hold of it, they’ll tell you that you gotta remove it. And that’s gonna be now at your expense, and that could be thousands and thousands of dollars to do. You know, engines, you know, we see this with like, they’ll put a modified engine in that’s not approved. A prop that’s not approved. So then now you’re running maybe 50, 60, 70 thousand dollars on just a Cessna, you know? Let’s take that up to a turbine airplane, and now you’re talking hundreds of thousands of dollars worth of potential cost outlay right there. When you start dealing with turbine airplanes, jets and such, it gets more complicated because of the life-limited components, and the required inspections for those airplanes is quite confusing, and actually, the AOPA asked if I would write an article on that, so I’ll be submitting an article to them about inspection programs for jet airplanes because they’re difficult to understand. It’s not like an annual inspection. “No, I just do an annual inspection.” No, it’s more to it than that. That’s what makes it fun though. Because we’re all learning. We’re all learning as we go, and hopefully the goal is to help people be more responsible buyers, owners, and sellers of airplanes. That’s the ultimate goal. 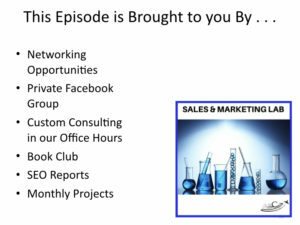 Paula Williams: Well you’ve had some huge success, and you know, this is one of the … Since this is a marketing podcast, I have to ask you how you have been so successful as far as your podcast and your YouTube channel. You’ve got I think over 7,000 subscribers on your YouTube channel, and I don’t know how many on your podcast. How did you do that? Adam Sipe: Yeah. Well, you know, it’s a long story really. I learned how to do this sort of stuff in other business projects that were outside of aviation that weren’t successful, so to speak, but they were my stepping stone projects, if you will. And then of course I got hooked up with Don, the original Prebuy Guy who’s my mentor, and he showed me the ropes from the aviation business end, and then I was able to merge his expertise with mine, with more of the technology stuff, more of the website stuff, and the podcast, and all this. We see probably an average of 20,000 downloads a month on the podcast. Like you said, the YouTube channel’s growing. It’s, you know, 7,000 subscribers is great, I mean it’s small, but we’re in a small niche. Aviation is small, and then of course, our niche really is airplane owners which is even smaller. Really it’s just come down to having that niche and leveraging some of the opportunities with SEO, the search engine optimization, that’s been big. I mean I haven’t paid for any advertising for our business at all. It’s been organic searches through Google, and such. It’s been organic searches through Apple. Now the podcast app, what used to be iTunes, et cetera. That’s really … Our strategy has been just give people information they want, and hopefully they realize that at some point they may need our help to go forward with the specific situation they have. Paula Williams: Right. And then they find you however they want to, so they may be searching on Google, and then they’ll find your website. 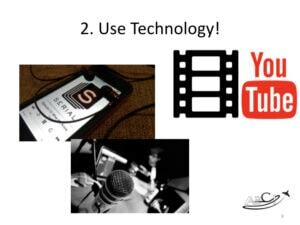 They may be searching on YouTube and they’ll find your videos, or they’re searching on iTunes and they find your audio. All of that is search. People don’t recognize that it’s not just Google, it’s everything. Adam Sipe: Right. It is everything. And the beautiful thing is, and it just works out this way, when you’re writing content, whether it’s written, or audio, or video, you’re automatically plugging in all the keywords. I’m not writing my content as like a typical search keyword, like aviation podcast. I’m putting in stuff like “Owning a Cessna 210.” And so now anyone in the market for a Cessna 210 might come across one of those three platforms, the written, the video, or the audio, in their research, and what we really try hard to do is give people information that they can’t get anywhere else. When you’re talking about cost, and performance, and all this stuff of an airplane, the best place to get it is from owners. And that’s been … Our interview base has been with airplane owners and industry experts. Like we’ve interviewed aviation attorneys, and accountants and things, insurance brokers, because we need to get the facts. And being that that’s not really been done before, it makes it an easy solution to that problem. And even if no one calls us or emails me about it, and we don’t, as we would call it in marketing, “convert” them into paying customers, they’re still getting the information that they need, and that’s valuable, and I would hope that in the future, as they progress in their pilot and ownership journey, that maybe one day they’ll think of us when they have a question, or need some help. Paula Williams: That makes sense. I think another brilliant thing that you guys have done is every time you do a podcast, you essentially get three pieces of great content. You get the audio, the video, and the text, where a lot of people are kind of struggling just to put out a blog. You guys are tripling that with the same amount of … Well, with more effort than just a blog, but still. It’s the same amount of time going in. Adam Sipe: Yes. And you know, so we’re trying to leverage the content as much as we can, like you say, covering all the major types of platforms. It is an enormous amount of work though, often. It might take me a full week to turn around a podcast episode. But, and it’s important for folks to understand too, that that’s all work you’re doing pretty much for free, and it’s very time-consuming. And it’s worth it, and it’s a long run strategy, right? It’s not a short term strategy. Adam Sipe: That’s something that I think people should know and understand before they decide to start doing that because it’s, like I say, it’s definitely worth it, for sure. Don’t expect to get flooded with phone calls and people just waiting to hand you money, you know. Because it doesn’t work that way. Paula Williams: Right. So what effect has it had on your business, you know, thinking in the long term, you’ve been doing this for a while now. If you were to, and I know there’s no way to say “This is Airplane Intel without the podcast; this is airplane Intel with the podcast,” but what do you think the difference would be? Adam Sipe: Well, we’re definitely seeing a higher volume, I think, of potential leads and customers. It’s a mixed bag, you know, because now this gives us international coverage, so I hear from people from Europe, and South America, and Africa, and Asia. In fact, at NBAA I met a guy that I had met previously through doing YouTube stuff who’s in Singapore. And he came to the US for NBAA and we met up there, and he was telling me about some opportunities going on in Asia and all this stuff. So anyway, we’ve met a lot of people from it. I like … Here’s something interesting that I really enjoy. 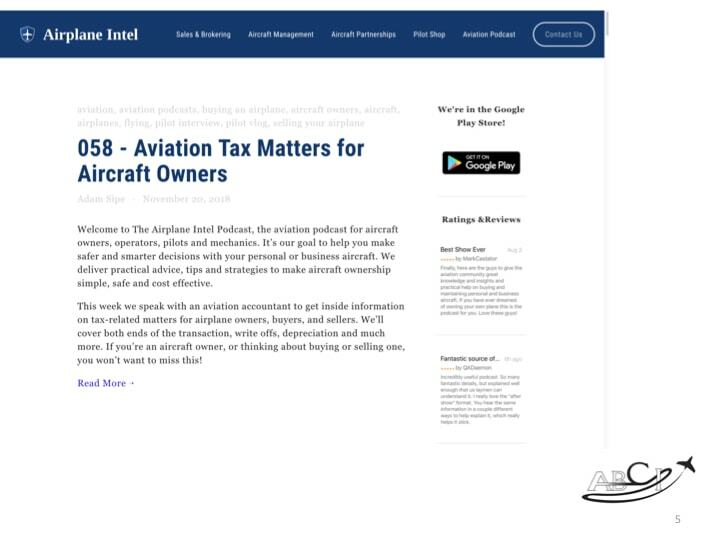 When I’m trying to get interviews, or network, when I’m trying to network with people, I can often use the podcast as a way of opening that door to get some contacts that might benefit me or benefit my customers, like these attorneys, and these aviation CPAs, and things like that. It’s a great way to showcase what these folks do, but now you also have someone on your team that you can rely on as well. That’s another added benefit of podcasting and doing the videos and all this. But anyway, going back to your question. We have a higher volume of traffic coming through. 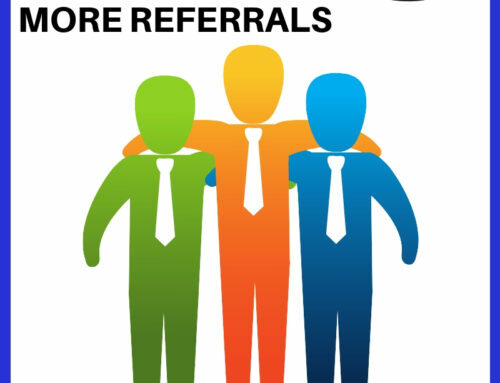 I find that the folks that are ready to move forward in working with us, we’ve already built that trust and that credibility through all the free content that we’ve given them, and all the information that we’ve given them previously. So it makes the screening process a little easier, and also I think provides higher value customers. Higher quality customers. Paula Williams: That makes perfect sense. So you and Don are kind of like the dream team. He’s got the longstanding network in the industry and all of those credentials and that background in the industry, and then you come from technology and marketing and all of those cool things, and then you stick them together. I think that’s just a really neat, neat combination. Adam Sipe: It’s worked out quite well for us, and we both needed each other. He’s mentoring me, and then in a lot of ways I’m mentoring him too. It’s kind of a unique relationship, and I’m very grateful for it. Like you said, he basically invented prebuys, and the word prebuy. I mean that’s basically his word. We’ve expanded what we do now since we’ve been working together, you know, and, but, you know, it’s like, but, what’s the phrase you hear? You’re standing on the shoulders of giants? I mean that’s kind of what he has been able to provide me, and we’ve together been able to go into the market and hopefully make it a little better for everyone. Paula Williams: Fantastic. I think a lot of people want to do business with people who are like themselves, and so you see all these startups and things where you’ve got a bunch of IAs, maybe, who don’t have a lot of background, or come from the school, the same everything. But I think what makes you guys successful is that you are so different from each other, and that you’re fun to listen to because you are so different from each other. Adam Sipe: Oh yes. Yes. That’s true. 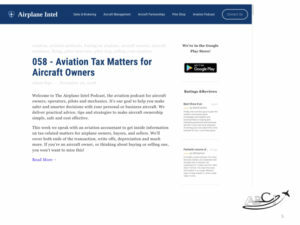 It’s a yin and yang situation and it’s nice because he appeals to the older audience, and I hope … I’m hoping I’m appealing to the younger audience that are maybe getting started in aviation or in aircraft ownership. So it works. It works. Like I said, it’s kind of serendipitous. How we met was kind of accident, but we were both on the same wavelength though in terms of what we wanted to accomplish, and you know, so, anyway. It’s kind of neat. Paula Williams: It makes it a lot more interesting, that’s for sure. Adam Sipe: Absolutely. Yeah, definitely. Paula Williams: Cool, so what is the most successful or interesting marketing campaign you guys have ever run? Adam Sipe: Well this wasn’t intentional by any means. So I have a listener of the podcast that lives close by that owns a Cessna 310, and he’d written in to the show, and he also does some guest writing for General Aviation News, and so and so forth. And anyway, we agreed to meet so I can record a video of his Cessna 310 and learn more about it and tell people … Tell our audience about the Cessna 310. Anyway, on average our videos maybe do, you know, 30, 40 thousand views. For whatever reason, and I really don’t know how this happened, I mean other than Cessna 310’s a popular airplane, and the gentleman we interviewed, Arthur Billingsley, he’s a great camera person. He’s great on camera. Very articulate. But anyway, that video ended up having like almost, well, about 255 thousand views. And that’s what really launched the YouTube channel, started bringing in a lot more subscribers. And as I’m sure some of you guys know out there, that you know, the more subscribers you have, that unlocks more features of YouTube, so that makes it easier for people to find you. You can customize URLs, you know, you can go live, you can do they call it YouTube Premier, and all this stuff. Anyway, so that was unintentional, like I said. It cost me half a tank of gas to go drive somewhere, and you know. 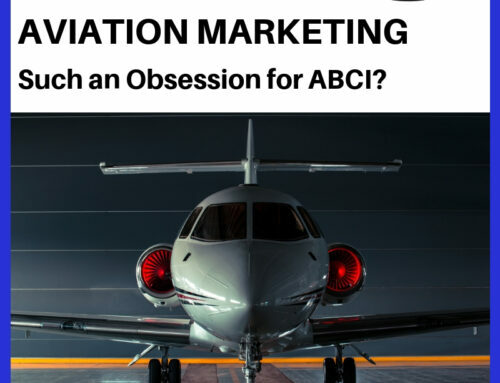 So, anyway, I’m finding that aviation is small enough right now, still, even on the digital marketing side unlike many other industries that are so saturated where it’s hard to get anyone’s attention. 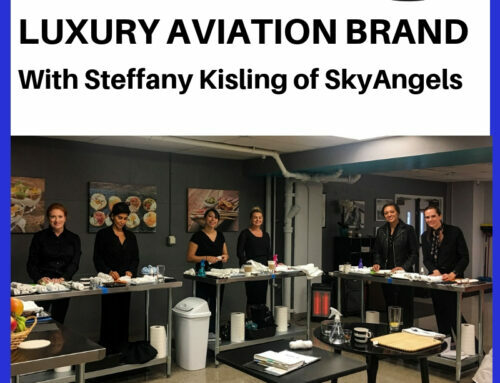 I found that aviation’s still small enough that you can find a niche and capitalize on it without spending really any money on actually marketing yourself. Paula Williams: Great. And just to kind of put this in perspective, we always tell people in aviation the right thousand people in an audience is just as successful as in the real world having a hundred thousand, or a million, because we’re not trying to be Gary Vaynerchuk, you know. To serve a very small audience. So, you know, you say seven thousand is small, that’s actually pretty big for the niche that we’re in, so. Right. Adam Sipe: Yes. Yes. Absolutely. And you’re right though. Because you don’t need a lot of people to be successful from a business standpoint in aviation. You just need those right … You know, just quality over quantity for sure, in aviation. Adam Sipe: I’m partial to him, because he was a Marine Corps helicopter pilot in Vietnam, so of course I’m a former Marine, so that draws me to him right away. But anyway, that book is just like an in-depth practical how-to guide of building a scalable business. Without all the hype that you read, you know, a lot of the books today are very hypey, and you know, I find anyway. This book is pretty straightforward, like check it out guys, this is what you gotta do. And yeah, it takes a long time, and yeah, it’s not easy, and you’re probably gonna fail. But I found it to be the most honest and most realistic book, and so I recommend that one. There’s another one too I’ll mention, it’s called Evolved Enterprise. Have you guys heard of that one? Paula Williams: I have not. That’s a new one. I’m writing this down. Adam Sipe: Okay. Great. Yeah. I recommend it. It’s called Evolved Enterprise by Yanik Silver. Or maybe it’s Yanik. I’m not sure how to say [crosstalk 00:24:38]. Adam Sipe: Yeah. And this book’s a couple years old now. I bought it when it was like under, like, prerelease or whatever. But anyway, it’s about how to be more philanthropic with your organization. You know, how to give back. And that’s something that I value, so. 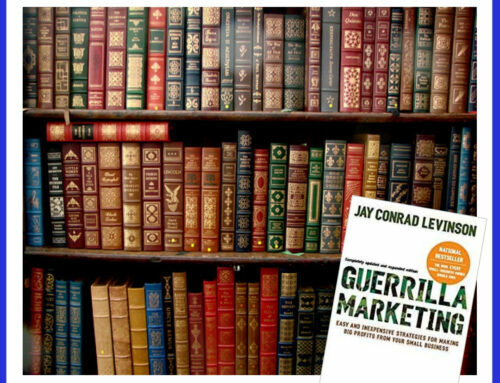 Anyhow, I read the book, it gives you all kinds of examples and means of how you can kind of give back to your industry, or to the community, or to whatever cause you want to give back to, and how to integrate that into your day-to-day business, so. I found that book pretty interesting as well. Paula Williams: Well another plug for Robert Kiyosaki: John and I actually know Robert Kiyosaki because we bought the book, er not the book, the game. There’s a board game called Cashflow, and we bought that when our kids were 11, you know, 10, 11, somewhere in that neighborhood, because it gives you the means to teach your kids about life and business and money management and all that stuff without yeah. And it’s just a really great game, and I’m really happy that we bought that for our kids when they were young, so. Adam Sipe: Yeah, that’s awesome. And I didn’t buy the physical board game, but there’s a, you can buy the app version for iPad and for Android and such. I’ve played that many a times, and you’re right. Just like it says, you learn how money actually works, and what the consequences of making bad choices are with money, and so on. So it’s a really interesting concept for sure. Paula Williams: Much more realistic than Monopoly, that’s for sure. Adam Sipe: Yeah. I would say so, yes. Paula Williams: Okay. Cool. Favorite airplane. I have to ask, because you see an awful lot of airplanes. Adam Sipe: Yeah, and I like different airplanes for different reasons, you know. Right now, I would say … I’ll give you my top three, okay? Right now the Cessna came out with the Citation 680A, which is the marketing is the Latitude. I think they did a fantastic job with that airplane. I work on them pretty regularly, and fantastic airplane. Looks good. It’s got a very large cabin. Very comfortable. It’s fast and all that stuff. So that’s one. The other one is the Concorde. I’m in love with the Concorde. I know it’s not perfect or anything, but I think that airplane was just an incredible feat of engineering for the time. Even by present day standards. And then, finally, I’m partial to this one. I worked on the F-18 Hornet in the Marine Corps, and I love that airplane also. I think it’s one of the best fighters ever built, so. There you go. Paula Williams: There’s your three. Adam Sipe: Those are my three. Paula Williams: Well that’s cool. You pick like the three coolest airplanes ever. Adam Sipe: Maybe. I’m sure there’s some varying opinions on that, but. Paula Williams: Right, exactly. Well just from an aesthetic point of view, those are probably my favorites too. Certainly the Concorde is just an icon. John Williams: And to note, we happened to be at the Salt Lake International one day when one of the Hornets was gonna take off. I watched him, and he took off, and raised it up a couple of feet, sucked the gear up. I told Paul, I said “Watch this. He’s gonna go vertical at the end of this.” He did. [crosstalk 00:28:11] vertical until he was out of sight. Adam Sipe: Oh, yeah. It’s incredible. It’s so incredible. Yeah. Adam Sipe: Let’s hope not, anyway. It’ll fall apart. Paula Williams: Let’s not try this at home. Adam Sipe: Yeah, right, right, yeah, yeah. They’re just, they got a lot of power. I mean a lot of power. From what I’ve heard from pilots and whatnot, I mean, they’ll, you know, in a dogfight situation, they’ll outmaneuver an F-15, a 22, a lot of the MiGs, you know, so. It’s a very capable airplane. Very fast. It carries a lot of armament. Anyways. I can go on and on. Paula Williams: Wow. Cool. Okay. So tell people how they can find the Prebuy Guys, and find your podcast, and find all your stuff. Adam Sipe: Sure. 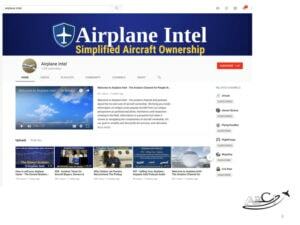 So we’re doing … I wouldn’t call it rebranding, but we’re trying to kind of synchronize everything, so you know, the Airplane Intel Podcast is our podcast, so you can Google that, or you can go to airplaneintelpodcast.com. Oh and you can also go to our website to learn more about the Prebuy Guys. You can just go to airplaneintel.com, or theprebuyguys.com. It all takes you to the same place. Whatever you find easier. Same thing for YouTube. You can search Airplane Intel or the Prebuy Guys and you’ll find us there. Same thing with all the social media and all that as well. Adam Sipe: Yeah, basically, yeah. So you know, what we found is that the Prebuy Guys is a great name and all, but it’s too much of a niche and we do more than just prebuys. So we’re trying to make that switch without sounding like a typical brokering company or something like that, because we’re not brokers. We’re still mechanics and pilots working in the field by trade, so. Anyway, we want to differentiate that way. Paula Williams: Great interview. We’re really happy that Adam took the time to talk with us in between all of that work he’s doing on his podcast, on his own podcast. Paula Williams: Took some to talk with us on ours. So three marketing takeaways. First one is you want to have a great team. Adam and Dan, I think is like the Dynamic Duo, don’t you think? John Williams: Exactly. Yeah, they’re good. Paula Williams: Right. Somebody who knows everything there is to know about the industry and has the network and has all of the contacts and all of that stuff that a lot of the people who’ve been around the industry for a really long time really respect, and then Adam brings this fresh perspective, and his youth and energy, and tech-savvy self, and all that stuff. The two of them together are just so much fun to listen to, right? Paula Williams: Second thing is you want to leverage technology. So these guys are doing it with YouTube, and they’re doing it with their podcast in ways that are really inspiring to us. We learned some things from their podcast, and from their YouTube channel that we’re going to be implementing as well, right? John Williams: Yep. And they continue to do research into technology to make it work for them. Paula Williams: Exactly. And people who are really into technology are always students, whether they’re young, old, or between. You just have to keep up with some of this stuff because it is changing every day, week, and month. Paula Williams: Okay. And then the third thing is you don’t want to get your needle stuck on things. If you go to their website and go to the “about” section, you’ll see some of the different business ideas that they have pursued over the years. They kind of went from the virtual prebuy, which they still offer, but they found other opportunities like the aircraft sales systems, and their network of field agents, you know, just so that they can expand what they do. Went in with one idea, found out you know what, here’s another opportunity. And here’s another opportunity. And here’s another opportunity. John Williams: Yeah. They don’t mind morphing the company. Paula Williams: Right. And doing what their audience requires of them. 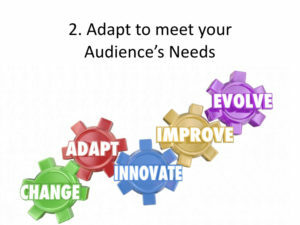 Because it is so much easier to morph a product than it is to find a new audience. Paula Williams: Right. Okay, so couple of things. Ways to find them. 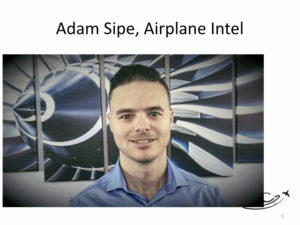 You go to Airplane Intel, the website. You can also find them by Googling Airplane Prebuy Guys, or even Prebuy Guys, I found them that way. 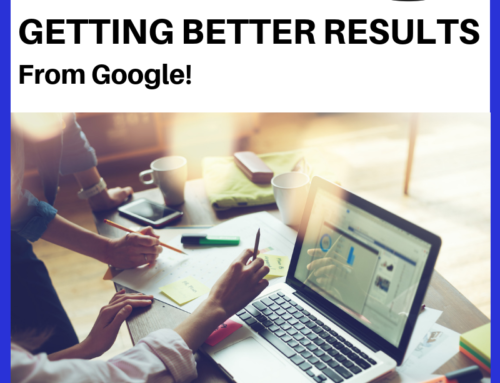 They’re really, really good at SEO, so you’ll find them lots of different ways. 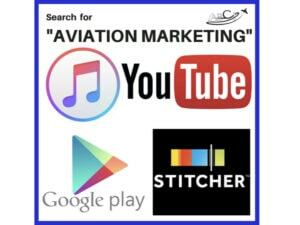 Another way to find them, of course, is their YouTube channel which has 7,000 subscribers, which is just about unheard of for the aviation industry. So once again, this episode was brought to you by the Aviation Sales & Marketing Lab. We’d love to have you join us where you get to work with fun people like us and like Adam and do what we can to help one another out because it is a very small town, the aviation industry is. Paula Williams: It’s a big city and a small town at the same time. Just from the way that people work together. So if you’d like to talk with us about your big ideas, hit that gold button on our website and click the “contact us” button. You can set an appointment for 30 minutes, and we will talk to you about whatever it is that’s on your mind, and how we can help. John Williams: Maybe even help you get a big idea. Paula Williams: Maybe even help you get a big idea. Most people have no problem with the ideas, it’s the execution that kills you, right? Paula Williams: So we can help you with that. Have a great day, and we’ll see you next week.